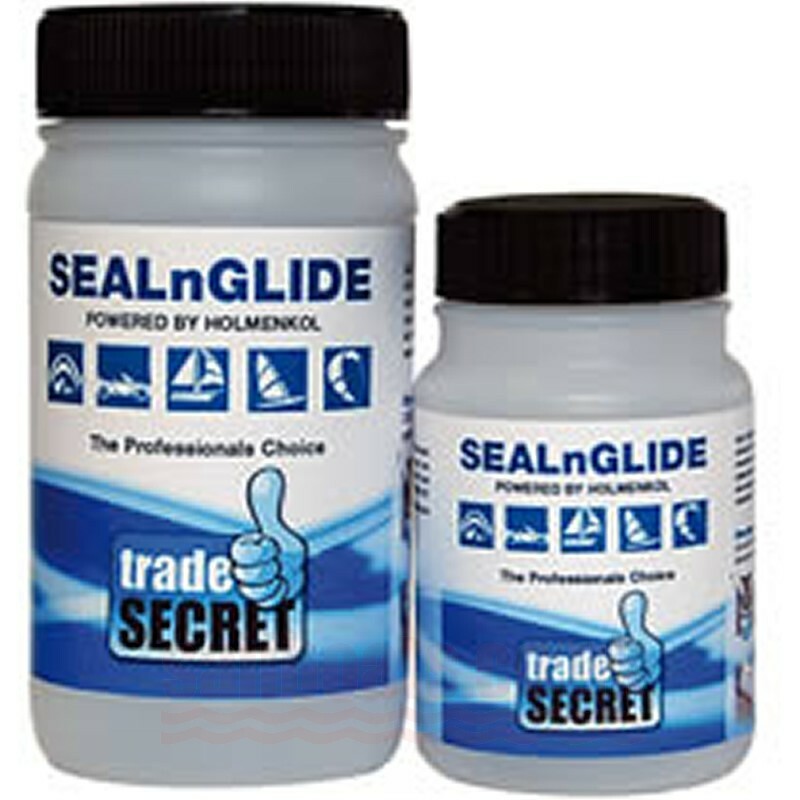 SEALnGlide powered by Holmenkol Nano Technology. The original formulation. Suitable for 1 1/2 gennakers (RS400 size) or 1 gennaker plus jib and mainsail luff/bolt rope (when using the 100ml size). Please note this a two part system i.e. you mix the base product with the activator (both supplied). Once applied the resulting finish is not only very low friction - but far more durable than ANY competing product (spray or liquid). In the photograph above, the right hand side of the sail is treated with Holmenkol SealnGlide. 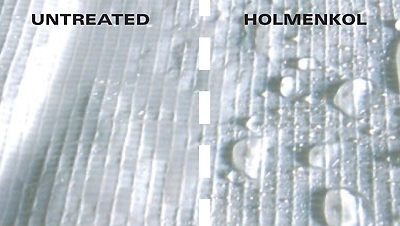 See how the Holmenkol treated section repels water. The droplets simply roll away even in the wettest conditions. Compared to the wetted out untreated section. What this means in practise is a drier, lighter, cleaner and more efficient sail that is easier to handle.